If you're looking for a quality Worcester dentist for everyone in your family, schedule a consultation with The Doctor(s). At Chandler Dental PC we're committed to providing a friendly and comfortable environment, along with comprehensive service and personalized care. Just call Chandler Dental PC at (508) 754-5226 or stop in to arrange for a consultation. 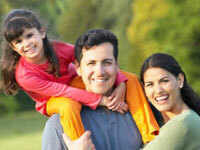 We'll be happy to discuss the many affordable options available to meet your family's dental needs.